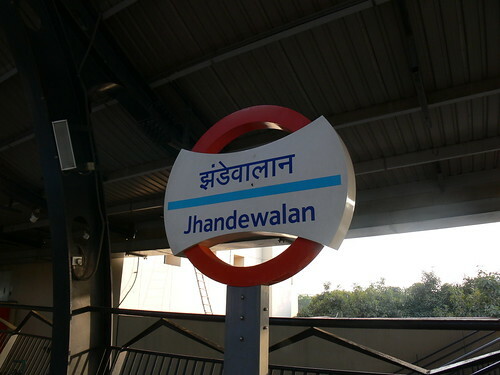 A guest post from Jane Findlay & Michelle Brown - Community Curators from London Transport Museum on their recent visit to Delhi and a fascinating look at the underground system there. 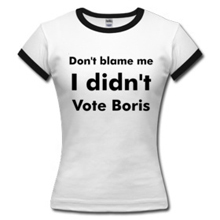 "Space to sit down, spotless carriages and air conditioning. We could definitely get used to this. 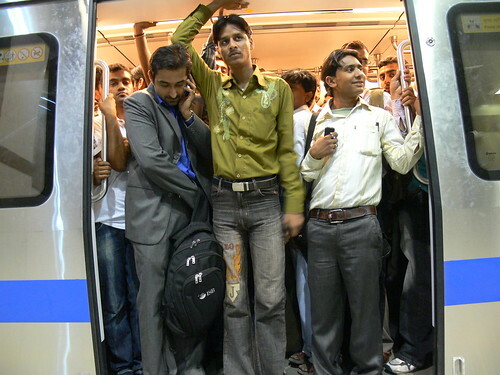 Delhi Metro is not all like this of course; being female we’re privileged to get a space in the quieter ladies carriage…but it’s not far off. 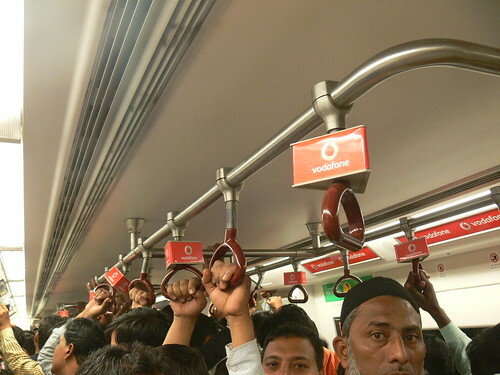 Like any Tube train at rush hour, things can get pretty packed in the general cars, but with sleek and shiny new trains and regular service you can see why Delhi Metro has become a popular way for Delhiites to traverse their city. 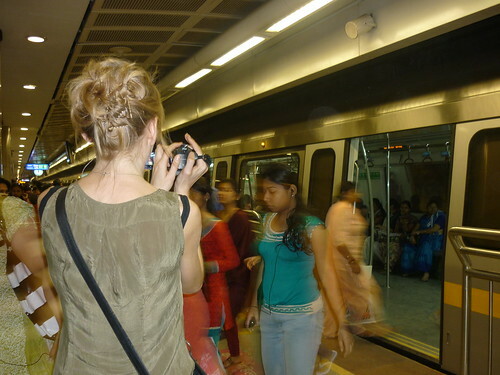 Delhi Metro is one of the world’s newest underground systems and is expanding rapidly. Run by the private company Delhi Metro Rail Corporation, it has the ambitious goal of building a Metro station within 500 metres of every home by 2021. The Metro received a real boost by the Commonwealth Games, which saw more people using it through giving travel tickets away with admission to the Games, and just this month ridership crossed the 1.6 million mark. It's soon to open high-speed airport connection which will no doubt add to its appeal, providing a fast and efficient way to enter the city. 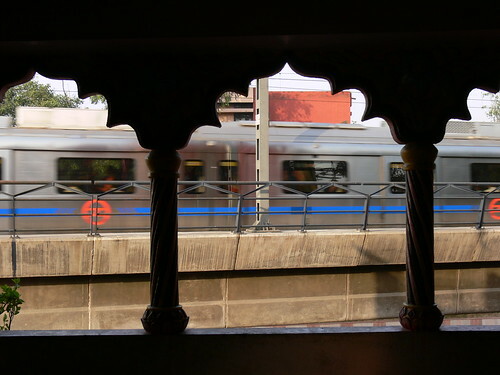 As London Transport Museum’s Community Curators we’ve been busy exploring how New Delhi’s new Metro network is affecting people’s journeys, experiences and understandings of this bustling and ever-changing city. The project was funded by a British Council Connections through Culture programme and London Museums Hub 2012 Cultural Olympiad project, Stories of the World: London (SOTW) a major focus of which is engaging with young people. With congestion choking the roads and causing heavy pollution, the Metro is a boon to the people of Delhi, who are really starting to embrace this new mode of transport. Craving not only the increased comfort and speed, the key to its success is its reliability. Interviews with commuters exploring the impact on the city highlighted that knowing you will reach your destination in 40 minutes as opposed to relying on traffic conditions on the roads is a huge advantage to passengers. Delhiites are rightly very proud of their new transport system. 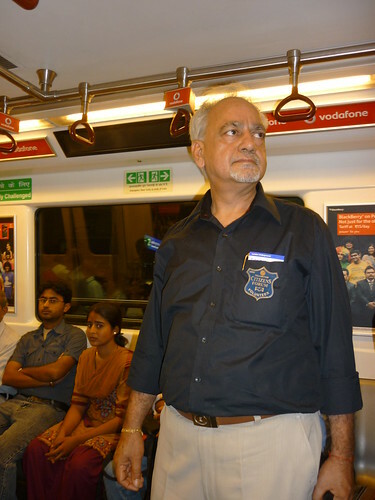 The Metro’s ‘Delhi Metro Citizens Forum’, a 500 strong group of volunteers trained to guide and assist passengers in travel ettiquette, are proof of the public’s dedication to the system. Linking up with Delhi Metro during our recent trip to Delhi we were fortunate to join some of the forum members out and about on the network as they went about their day, ensuring people gave up their seats for the elderly and helping people use the map to navigate. Across the world people use diverse means to travel throughout their cities, however a common thread of all major cities is the influence of public transport on a city’s growth, in both a physical and a social sense. London Underground is the world’s oldest underground system, nearing 150 years old – now a London icon, it has played a major role in shaping the Capital’s identity. The project undertaken in New Delhi provided a fascinating insight into how one of the world’s newest rail networks is impacting on the city. London Transport Museum looks forward to strengthening the partnerships that were created during the project and will continue to keep watch on how New Delhi develops in response to its new transport links. Thanks to Jane & Michelle for a great post and you can see more pictures from their visit here.